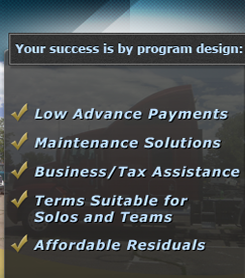 Pathway Leasing LLC offers value to independent contractors and motor carriers in the trucking industry through our leasing solutions. We provide a practical solution to ICs seeking an affordable lease, placing them in a reliable truck that meets the needs of their business. 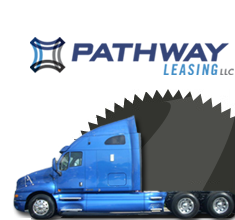 Throughout the lease, Pathway and its affiliates deliver business solutions to help the IC manage their business and ultimately realize the goal of owning their truck. Pathway helped me through a lot of ups and downs in the last 3 years and now that I own my truck, I am enjoying the financial freedom I've always wanted for myself and my business.